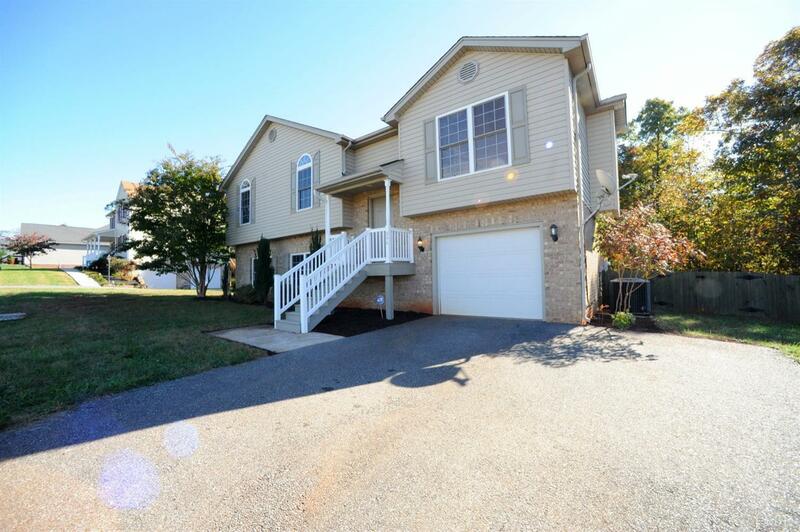 Charming split-level home in Campbell County withing minutes of the Airport, Restaurants and Liberty University. Beautiful Vaulted Ceiling in the great room with a gas log fireplace that opens up to the kitchen with a dining room and direct access to a private backyard deck, perfect for entertaining. Main level master with an en-suite that features a double vanity, walk-shower, tub and two closets. Two more spacious bedrooms with a full bathroom complete the first level. The Terrace level offers two additional bedrooms with a full bathroom and a second great room that takes you out to the fenced in backyard.